Julie Forrest and Alison Merrien MBE, two of the top outstanding women in British bowling for a number of years now with numerous national, British and IIBC (formerly WIBC) titles under their belt, will go head to head for the Just Women’s World Matchplay singles title at Potters tomorrow. (Thursday 24th Jan / BBC 1pm). Forrest was the first in action earlier today and she met defending champion Katherine Rednall, who won this title for the first time as a teenager in 2014, and then back to back in 2017 and ’18. Rednall eased to the opening set 11-2 with an end to spare, went 3-1 up after two ends in the second and held a full house of 4 which would have given her a good cushion. But Forrest grabbed the bull by the horns – ran the jack to the ditch and in turn she counted a 3 to take a 4-3 lead. It turned into a dog eat dog battle and although Rednall scored on four of the last six ends – they were all singles while Forrest chalked up a treble to take the scoreline to 7-7 going into the last end and then claimed the vital shot to win 8-7 and push the match to a best of three end tie break which she won 2-1. 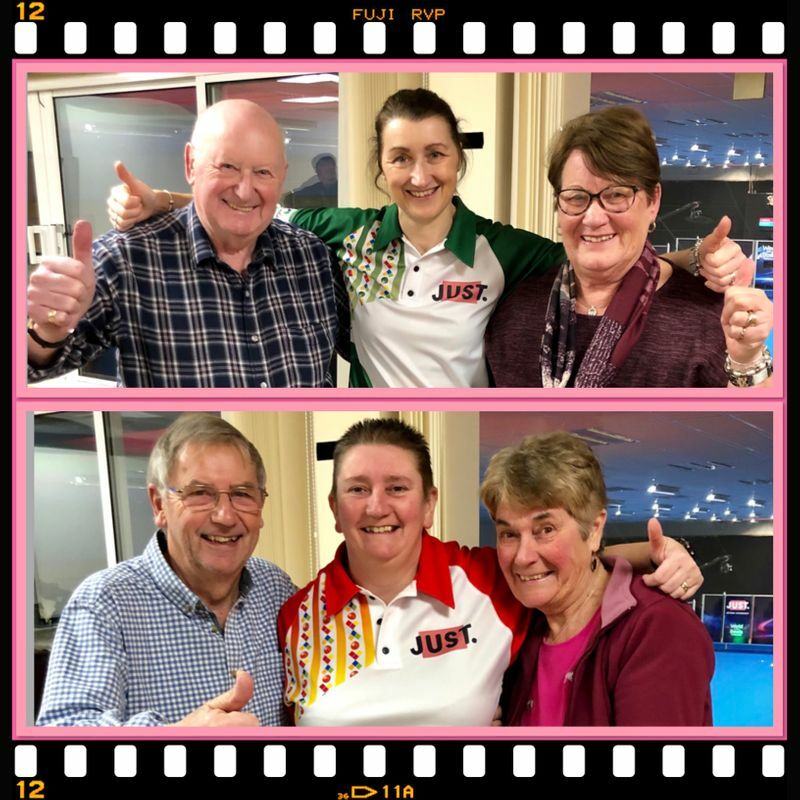 In the second semi-final, the highly decorated Channel Islander rose to the challenge presented by City of Ely’s Ellen Falkner – also a three time winner of this title and who also took out the Mixed Pairs title earlier in the week with Rob Paxton. Merrien left no stone unturned in her mission to secure a final berth, dropping only two ends in each set and running out a 9-4, 9-3 winner.